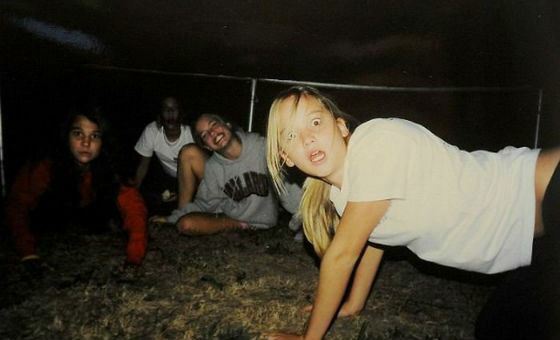 Jennifer came into being in the suburbs of Louisville, Kentucky, in the family of a construction company owner Gary Lawrence and Karen Koch, a camp manager for kids. The baby was the 3rd child in the family. Her elder brothers’ names are Ben and Blaine Lawrence. Jennifer was fond of sport since she was a kid. She was a cheerleader team member, a softball school and a field hockey team member. The girl was interested in design. She also took part in amateur drama performances. Still, she never wanted to become a professional actress. She planned to make a career in medicine. The things have changed its natural course in 2004. This was the time when 14-year-old Jennifer arrived in New York for her spring break. The family was strolling down the city when a stranger came up to them and asked Jennifer for a shot. As he waved goodbye, he asked her parents for the phone number. The other day the girl was invited to a casting in the Abercrombie & Fitch clothing brand commercial. That next summer Lawrence, the junior child, spent in NYC either. A prodigy was invited to shoot for the drama action «The Devil You Know» with Rosamund Pike starring a leading role. 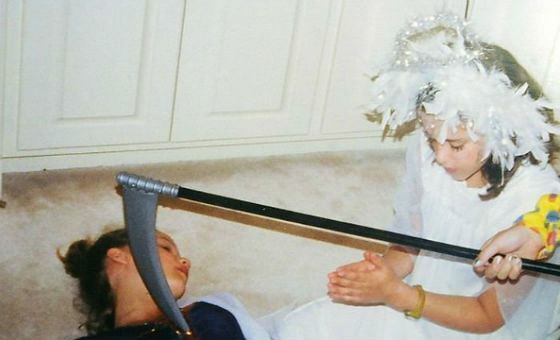 Jennifer performed Rosamund’s character in childhood. However, the viewers saw her in this role much later. This is explained by the late premiere of the picture, which was postponed on 8 years due to the lack of funding. Jennifer got so much involved by the film production that the Lawrence family moved to Los Angeles after shooting. They wanted to keep close to the global film industry center, so that the girl couldn’t hide her light under a bushel. Cameo roles in the TV-series «Monk», «Medium», and «Cold Case» won Jennifer her way to the glory. In 2007, a leading role in «The Bill Engvall Show» followed. The shooting for this Comedy show lasted for three years. 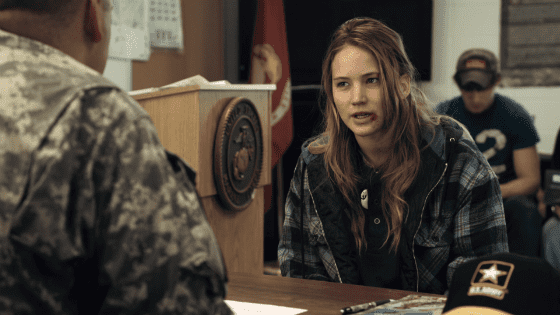 At this very time, Jennifer Lawrence starred in the big screen pictures «The Poker House» and «Garden Party». In 2009, «The Bill Engvall Show» was cancelled. 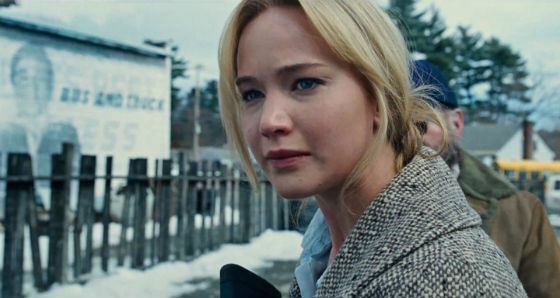 Jennifer got a proposal to perform a leading character in the «Winter’s Bone» picture. The drama’s plot is built on the story of a 15-year-old Ree Dolly, who had to take care of her younger brothers and sisters after their mother got crazy and a drug addict father went missing in his hiding from creditors. The role allowed the girl to be nominated for Oscar and the Gold Globe. However, the both categories were won by Natalie Portman for featuring «Black Swan». The next checkpoint in Jennifer’s career was a drama «The Beaver» with Jodie Foster and Mel Gibson starring. Initially, Norah role was intended for Kristen Stewart. Still, the «Twilight» star was unable to find a spare time in her busy schedule. So, Lawrence accepted the offer. Heartwarming and full of light grief, the picture differed from her previous. Though, the actress’ fans liked it. In 2010, the girl won an opportunity to express a female heroine, a chameleon girl named Mystique or Raven in the sci-fi adventure action «X: First Class». Jennifer name was posted in titles in line with such Hollywood professionals as Kevin Bacon, James McAvoy, Michael Fassbender and Rose Byrne. In 2011, the film director Gary Ross decided to screen Suzanne Collins novel «The Hunger Games». 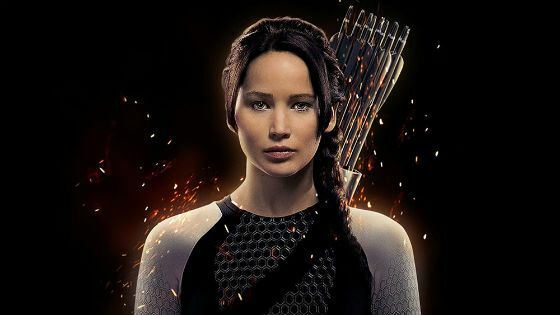 The novel narrates about a cruel tradition, adopted by a post-apocalyptic society, obsessed with superstition: 24 teenagers take part in «the hunger games», the true battle for survival that is organized annually. The search for a leading actress took a great sheer of time. Gary Ross and the writer audited a dozen of girls in hope to find the only one. They considered Emma Roberts too «ecstatic», Dakota Fanning annoyingly famous, Kaya Scodelario didn’t cope with the task, Emily Browning didn't even bother to read the novel, Shailene Woodley was directed by them into «Divergent». As a result, the film directors chosen Hailee Steinfeld. They said: «Not that she was exactly the person that we are looking for, but something is better than nothing…». But then again, the film director was quite happy to have 14-year-old Hailee as Katniss. He wanted his actress to meet the exact novel’s requirements, where the heroine was just 16. So, when the Jennifer took a step forward and began narrating about herself, he didn’t even cast a glance for her. Nevertheless, the actress was interested in Susan Collins, the author of «The Hunger Games». This was exactly the author who connected the name of Jennifer Lawrence inseparably with Katniss Everdeen. Josh Hutcherson was accepted for the role of Katniss lover, and Liam Hemsworth performed the character of the girl’s best friend. The first episode of the sequel was released in March 2012. All tickets for the premiere were sold out for the week ahead. This has not been without some criticism from the sequel fans. They were disappointed by a grown-up actress playing a 16-year-old heroine. Still, they coulfn’t imagine anyone in Katniss image ever after. The same year, the viewers could notice Lawrence’s name on the comedy «Silver Linings Playbook» poster. Jennifer performed there an eccentric girl Tiffany, who captured the heart of a no less extravagant hero of Bradley Cooper. The picture was taken warm by cinema critics. Besides, the picture has proven Lawrence as a wide profile actress. The picture was nominated for Oscar in 7 categories, but the statuette went to Jennifer only. She made Naomi Watts and Jessica Chastain in her race for The Best Actress title. In 2013, the long expected next episode of the adventure sequel «The Hunger Games: Catching Fire». The starring in the first episode brought Jen somewhat about half a million dollars. As for the second episode, the fee increased by 20 times. 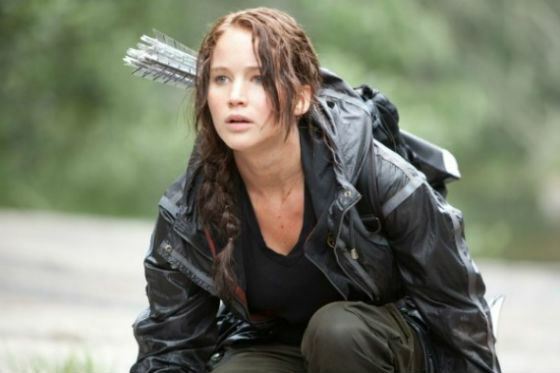 The final episode of the sequel «The Hunger Games: Mockingjay» was divided into two pictures. Both were introduced to the society in 2014 and 2015. As analysts estimated, all episodes of the sequel brought income in .8 billion. «The Hunger Games» was one the most box successful Holywood projects over the last decade. In 2015, Forbes titled Jennifer Lawrence The Highest Paid Hollywood Actress. In 2015, the actress appeared on the screens in the image of a single mother, who invented a smoothemoose MOP, in the same named picture «Joy». The comedy, full of emotion, got mixed reviews. However, Lawrence was unanimously evaluated in a positive way. The girl was nominated for an Oscar in 2016. However, the statuette for The Best Actress went to Brie Larson for her character in the drama «Room» this time. In 2011-2013, Jennifer Lawrence was dating Nicholas Hoult, who was her colleague on the shooting stage of «X-Men» (the actor played the mutant named the Beast). 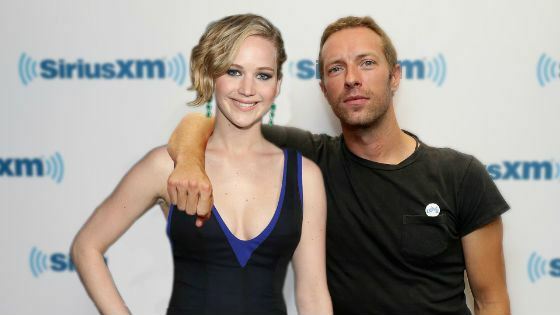 In 2014, the actress was noticed in open relationships with the leader of «Coldplay» band, Chris Martin. The love affair lasted until the summer of 2015. 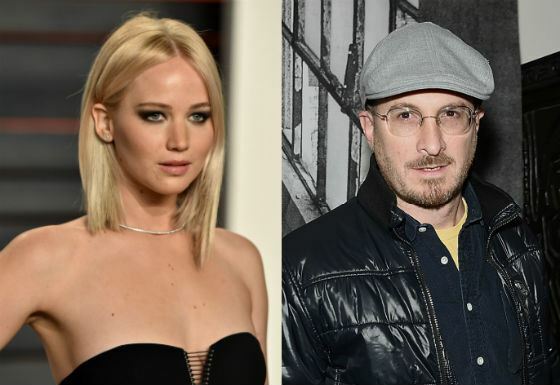 In March 2016, Jennifer was caught in a love affair with a 47-year-old film director Darren Aronofsky. It is known that earlier he accepted her and Javier Bardem for the leading roles in a new project, which index is not announced yet. In 2016, Jennifer worked on the project «X-Men: Apocalypse». She kept the role of a blue-skinned Mystic or Raven Darkholm. At the same time, she with Chris Pratt and Michael Sheen took part in the shooting for a new commercial-scale project called «Passengers». In this film, Jennifer first appeared in a bed scene.